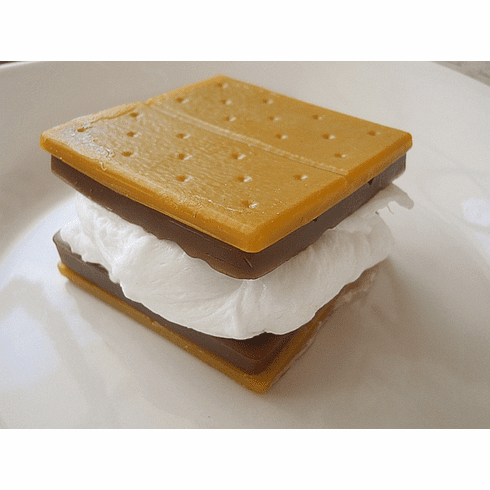 This soap will remind you of sitting by the campfire enjoying yummy s'mores. It does smell of a wonderful combination of cookies and chocolate. Great for the kids or anyone who enjoys a unique gift. Comes wrapped in a clear cello bag, bow, and tag. Made with 100% vegetable glycerin soap that is SLS and detergent-free. Vegan friendly. Convo me about pricing discount when you order 10 or more of these. Soap weighs 5 ounces.